Ellen Kahn is the Director of the Children, Youth and Families Program at the Human Rights Campaign. In her role, Ellen provides national leadership and expertise in public education and advocacy efforts on behalf of LGBTQ youth and families. Ellen oversees a portfolio of highly successful projects that promote fair and inclusive policies and practices; All Children—All Families; Welcoming Schools; the HBCU Project, and Youth Well-Being, which includes the annual Time to Thrive conference. 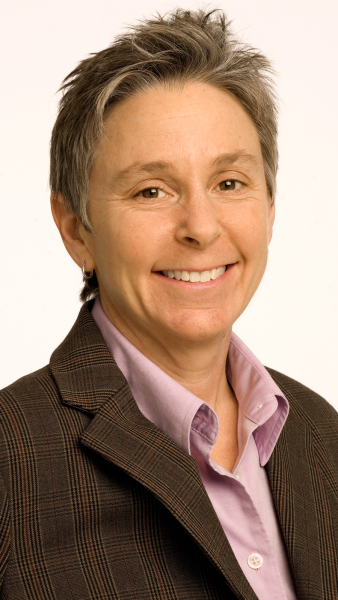 Ellen is sought out as an expert on topics related to LGBTQ youth and families, and frequently speaks at national and regional conferences and provides training and consultation for child welfare professionals, educators, and healthcare providers. Prior to joining HRC, Ellen spent 12 years at the Whitman-Walker Health in various roles; Director of the Lesbian Services Program, Associate Director of LGBTQ Health Promotion, and as supervisor of a behavioral health program for people with HIV. While at Whitman-Walker Health, Ellen established “Choosing Children,” a robust program for LGBTQ parents and prospective parents, including “Maybe Baby” groups, an annual “Parenting Day,” and a range of support groups for LGBTQ parents. Ellen was a founding Board member of Rainbow Families DC, the capital area’s support and education organization for LGBTQ-headed families. She has facilitated “Maybe Baby” groups for over 15 years and consults with dozens of prospective LGBTQ parents each year. Ellen received her B.S. from Temple University and her M.S.S. from the Bryn Mawr College School of Social Work and Social Research. Ellen is the proud mom of two fabulous daughters, ages 18 and 14, and lives in Silver Spring, MD.